In this episode, you will learn about using great design to drive people to your destination from Cindy Harris. Cindy Harris is a graphic designer, painter, and lover of all things art. She began Harris Studios over 15 years ago with the purpose of helping established businesses create an authentic identity through design. Cindy believes in the importance of good design in this world and asserts that design should be a reflection of both who your business is, as well as where your business is headed. Cindy has created unique brand identities and meaningful design work in a host of different industries, including travel and tourism, food and beverage, retail and spas, and events and promotions. In 2013, she was honored with a tourism legacy award for tourism branding and creativity. Cindy is both a designer and an artist, painting is her passion. She is a proud member artist at the Pat Rini Rohrer Gallery in Canadaigua, New York. 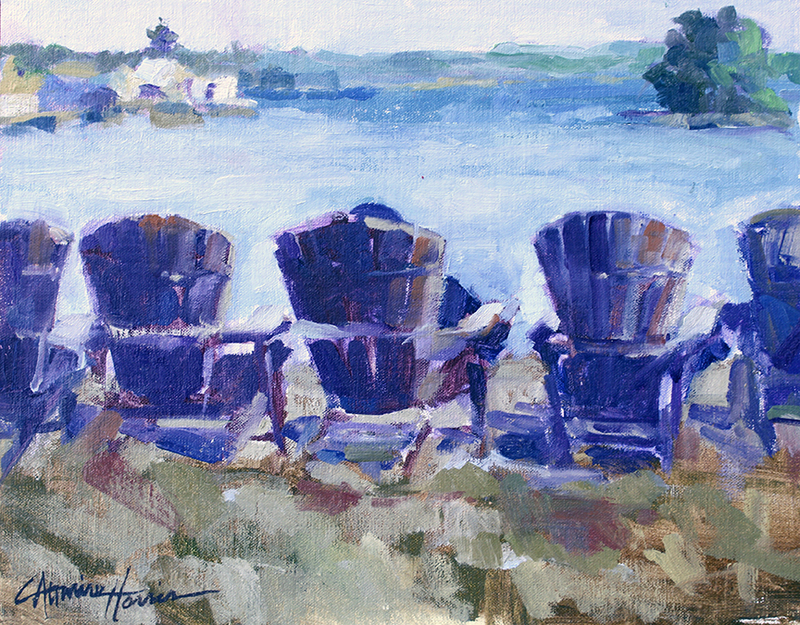 She has been a juried artist in the internationally acclaimed Finger Lakes Plein Air Competition. When Cindy is not designing or painting, you can find her knitting, reading a book, or taking a stroll around her beautiful neighborhood in the Bristol Hills. Thank you for joining me Cindy. Well thank you so much for having me, Nicole. I think you just said it all. It’s always fun to hear your own bio, I think. I also know that while we try to sum up our lives work in just a few words and sentences, that that really doesn’t tell the whole story. So if you could share a little bit more about your story with our listeners to help give us a little bit more context about who you are, that would be great. That sounds great. Well first of all, thank you so much for having me. What an opportunity you’ve given me; I just am so grateful for this. First of all, I just want to say that I really love what I do. I’m an artist and a designer, and I founded Harris Studios 19 years ago this month, which is hard to believe, after working as a corporate packaging designer for Mobile Chemical where I designed the Hefty branded products. They relocated everyone to Chicago, and I absolutely love New York state and the Finger Lakes, and I decided not to go. That’s when I started Harris Studios. At the beginning I worked for mainly Fortune 500 companies such as Bayer Advanced and Pactiv. Once I started designing for wineries and local businesses in the Finger Lakes and other destinations, I was really drawn to the passion and creativity of the people. Hearing their stories, such as John Brahm of Arbor Hill Winery whose family started growing grapes back in the early 1900’s, I just found the whole industry to be energizing and creative. After that, I was given the opportunity to work in destination marketing. Val Knoblauch put her trust in me — she’s with Finger Lakes Visitors Connection — and she asked me to develop their creative brand for Ontario County travel and tourism. And then through referrals and networking, I’ve been given the opportunity to assist other New York state counties and their branding, visitor guides, trails, and equilateral. I just love it. I love what I do and I love this industry that I have sort of ridden my canoe down. It’s been a path that I didn’t plan on taking, I didn’t really know a lot about this industry after going to RIT for graphic design and I really focused a lot of packaging, I felt this to be just, this is play for me. So I guess that’s a little bit about who I am. I grew up in the Adirondacks, I love the outdoors, I live in the country now in the beautiful Bristol Mountains and it’s just a way for me to really dig deep into my art and design and integrate it all. So I’m just excited that I’ve ended up where I am right now. That’s awesome, I think your story is so interesting because I have a daughter who’s just now starting in an art program, an art degree at Nazareth College in Rochester. And when I look at her and where her career might take her, who knows, we never know where our career path’s going to go. I think about people like you who have truly followed your passion and were able to kind of take this journey in your career where you’ve gotten to a place that you’re practicing not only graphic design, your trade, but also your painting and the art that you’re able to create beyond just the branding and the design work, but the actual artistic expression that you’re able to do. I think is just really, really awesome. Yeah, and I wrote down a couple words as you were talking, which is passion, creativity, and energizing. I think those are just really great words that sum up the work that we do, the work that you do, and why people are drawn to this travel and tourism industry, and even just drawn to this part of the country. So I think that’s really cool as well. Since you’ve used the word creativity so many times already, one of the things we like to focus on in this podcast is creativity. I’m really looking forward to your insights and thoughts in that area. The first thing that we really like to talk about is how competitive the tourism and hospitality industry is and how hard it can be to really stand out. What things have you done, or have you done for your clients, that have helped them stand out in the crowd? 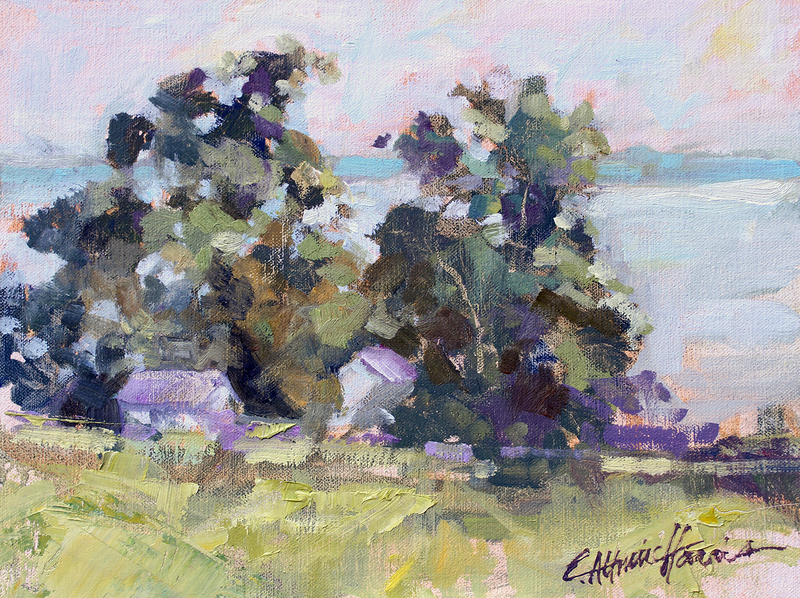 Well I think being an artist and a plein air painter, which is an artist that paints outdoors, I try to use color, and impact, and design to really stand out, I also kind of take advantage of the opportunity to see so many beautiful areas. For example, if I’m going down to visit Livingston County, I might stop for a few hours at Letchworth State Park to do a painting, post that on Facebook or Instagram and people are being given the opportunity to see the different areas of the state but also see it from an artists eye. So I feel like I’m able to really integrate the actual destination with both my art and photography that we use in many of these and get that emotion that you get in a painting. I try to put that into my design projects as well. Oh, I think that’s really interesting. Can you expand on that a little bit more, how you pull out that emotion through your design projects? Do you maybe have an example or could you just take us a little bit deeper on that? Sure, when I’m standing there painting, I really look at the light that’s coming in. I sense the air, the smell, the dampness, the cold in the winter. I try to see what other people would want to experience. So I guess one of the examples could be like Bristol Mountain, I do their collateral and winter guide. A lot of people say “Oh, I’m not sure I want to go out in the winter,” but I’ve been able to really show in imagery how much fun it can be and how exciting and amazing it can be just to pull your kids away from the iPads, and the computers, and video games and get them out to ski. And experience summer sports, and sailing, and all kinds of things that we have available here. I think I’m able to interject that because I’ve been able to experience all of those things myself. I love all the outdoor sports and things, but also because I can take that and express it visually into my design work, whether it’s the logo Finger Lakes Regional Tourism Council where I’ve used that swash, which is sort of like a lake, or the air, or really fresh approach. I really got that from just experiencing life here. So I don’t know if that answers your question, but it’s kind of how I work. Right, no that’s really interesting. I like that description of the swash on the logo and we’ll make sure we put a picture of that logo in the show notes for this podcast, so listeners can go there and see it. Essentially, when you’re looking at something like that your feeling it, you’re not just seeing it. Yeah, that’s really great. Do you have any tips that you can give to our listeners on how — if you’re not an artist — maybe some simple things you can think about to really translate those emotions into a visual? What are some things that they might look for? You mentioned color. Color, and texture, and light, and also I think many of us don’t take a pause, we don’t don’t actually stop. We’re running from here, to there, to here, to there, to this meeting, to that meeting, and for me it’s very important to get up in the morning and I write in a journal. I do a meditation. I really try to slow down before I speed up for the rest of the day, and I get so many great ideas then, or with just a walk. I’m able to get some of my most creative ideas when I’m out on a kayak. There’s so many different places, and it’s just being with nature really for me. Sometimes I can’t force a design or an idea to come out, it has to come naturally I guess and then it’s like oh, this will work. So I would just say take the time you need because we’re always rushing and I think those inspirations come when we give ourself pause. Yeah, I think that’s great advice. You said take a pause, slow down before you speed up, I think that’s really great advice. So still on the topic of creativity, but switching gears slightly, creativity usually appears in the face of adversity or a challenge. I really love hearing from our guests about a time that they may have faced either a challenge or some sort of adversity and how creativity kind of helped them through that or the creativity that they experienced as a result of that. Do you have an example from your own experiences? Yes, I do. One of my biggest challenges was on the business side of my business and getting clear on what my intention was and strategy. I went to school to be a designer and an artist, so I was really lacking on that MBA side. I think a lot of people are that start businesses with what they love. I was actually fortunate to find a business coach, her name was Christine Kane and she’s from Asheville, North Carolina. She describes herself as a mentor to people who are changing the world, which I loved when I first saw that. I started reading some of her blogs and then became part of her mastermind, and that has helped me connect with other entrepreneurs around the world at a deeper level and get into what she calls the vortex — which is really working on your business as you work in your business. So it’s really advantageous to me, and I think that’s been the turning point for me to be able to be more confident and successful in this side of my business. So that was a big challenge, because I was doing really fine without that, I was doing fine bouncing along, until I started working with a coach I really had no idea where I was going, so that has been wonderful. So can you tell us a little bit about how that was a turning point and kind of the direction that you turn to and some of the things that you’ve done as a result of working with that coach and being part of that mastermind group? Yes, the biggest, I guess, opportunity that I had at the beginning was to really decide on who my ideal client was. That was both who do I want this person to be like, how do I want them to act? For me it’s having a creative, open personality. They should be fun-loving, exciting, and love to have experience, so pretty much writing all those things down and getting clear on that was right at the beginning. And then meeting up with women who were, mostly women, 90% women really in her group that were really wanting to change the world with what they did. This isn’t just a job for me, it’s being able to bring people to the Finger Lakes or New York state to experience the beauty that we have here. Giving them some ability to get some peace and quiet and enjoy some of the things and activities that we’re able to experience and be grateful for those. I guess just having friends now that are all over the world I can connect with too in a mastermind is huge. We bounce ideas off each other, we come up with new concepts of all different kinds of things, but basically we’re working with service on how we can make the world a better place, that’s my goal. That’s great, well what’s really cool about that is I’m a firm believer that everybody needs a coach in some form of fashion. I think that’s really awesome that you recognize that and went out and found a business coach and then had this kind of greater organized group of folks that you can work with and bounce ideas off of. I think that’s just really fantastic. So now looking into the future a little bit Cindy, is there a project that you’re really excited about that might be coming up? I started thinking about that and I am so excited about every project I work on. Seriously, I have a lot of clients and they’re all my ideal clients, and they all have distinct point of differences in the areas that they want to promote. So I really couldn’t come down with just one. Well I think actually it would be great if you wouldn’t mind sharing a few of your client projects or even if it’s a past project you’re worked on. What we really like to do on this podcast is share creative ideas, and maybe there’s resources that might come of it, or we can put links to things in the show notes if needed for people to go see examples. It would be really great if you could talk about some of the projects you’re either working on or have worked on that you’re particularly proud of. Sure, well I love, and proud of, the visitor guides that I’ve been able to produce. I worked with the TPA’s of Seneca County, which actually won an excellence in tourism marketing award last year at NYSTIA, which was awesome. I really try to produce my visitor guides as coffee table books so that people will hang onto them and put them in waiting rooms, and keep them so that they’re not just a disposable thing like a brochure or whatever that they pick up and get rid of after they leave here. They’re actually a piece of memorabilia that they can take with them and remember their experience here. So working with Ontario County, Livingston County, Seneca County right now and their visitor guides for next year. Can you talk about your visitor guides and how you accomplish that with the coffee table guides? I have seem them and they’re beautiful, but could you just kind of describe a little bit about how they’re different? I feel like again, the imagery. We have such gorgeous imagery here in the Finger Lakes and in New York state, and to be able to simplify it and not put everything into try to create a mood that carries through the whole guide, and to showcase the many different types of attributes and assets that we have, the variety that would give anyone that came here to this area, I would say anyone, an experience that they will never forget. That’s what I’m attracted to so that’s why I think I’m hoping visitors to the area will be attracted to that as well. Absolutely. You mentioned in your intro you mentioned John Brahm and his family, the vineyards that they own, and the winery that he owns. I know you’ve done some great projects for Arbor Hill as well, could you talk a little bit about those? Absolutely, I feel like I’m part of their family, and that’s how they are; they make you part of their family. They’re the salt of the Earth people John and Katie Brahm, and Sherry and John, they are the most giving and caring people that I know. I just feel like when I work with them, I have done quite a few in the past and continue to, it feels like I’m again, able to share their spirit or their passion for what they do with people all over. They’ve allowed me, actually I have quite a few of the branded packaging projects to use some of my paintings as part of the design. So that’s been fun to give it a really natural look, like some of their blueberry jams and things like that. It’s a real collaborative approach, I work closely with them to come up with a concept and then we go back and forth on layouts and come up with something that’s very collaborative. I’m not producing these pieces, they just really come from each person that is involved contributing what they need to contribute to the project. Yeah, and I think that is a real key point that you just made. I’m actually just reminded of a project you and I worked on four years ago maybe now, time flies. It’s reminding me as you’re talking about the Brahm family, about the Héroux’s who own Simply Crêpes and the packaging project that you and I worked on for them. And how you brought them through that process as well. This was a project where they wanted to package their crêpe mix, they own Simply Crêpes, a restaurant that specializes in crêpes, and they wanted to package their crepe mix. You had a blank slate, can you talk a little bit about how you got to their story because it’s pretty cool what the end product ended up being. It is, well they had a vision in mind and they wanted it to be like the old tin ceiling look. I loved that idea, but also as I started to get to know them, found out that Pierre was a twin and that his twin was an artist, and that he had painted this painting of this cow. So I, as well as presenting them concepts of the tin ceiling kind of the shabby-chic look, which they thought that they were going to go with, I presented an idea using Pierre’s brothers cow painting but had it so that it was a mirror image so that the two cows were actually looking at each other. It was like Pierre and his brother. It was a way to visually express who they were as a family and as business owners and creative people more than maybe using a piece of what they had used in their restaurant, which would have been a great idea, that would have looked really nice too. But this was the one that we ended up going with, and I think it’s been very successful. Yeah and really just getting down to that brand story, which is what keeps echoing out in this conversation is really understanding who the business is. I think what you had provided to me in your bio was not only who your business is but where your business is headed, and kind of getting that to come out through your design work I think is really awesome. So this conversation about collaboration, you collaborating with clients to find their brand story and create these beautiful design pieces to reflect who they are and to communicate with their customers, is a perfect segue into what we also like to talk about on this podcast, which is this whole idea of collaboration. Beyond just the client designer relationship that you have, I kind of like to look at things that are a little bit broader than that, and what I call co-opetition, where I see so many times in travel and tourism where perceived competitors would come together to work on a project to create something that’s bigger than what they could do on their own. I know you’ll agree with me that you see a lot of this, especially in the Finger Lakes region where you and I both work. Can you talk about a time when you’ve seen this work successfully, where competitors have come together, collaborated, and just created something that’s really awesome? Well I try not to look at other businesses, even that do the same type of work that I do, as competitors because I just think there’s so much creative work to go around. I guess one example working with Cayuga County, originally I hadn’t done their brand design and so had to develop the Sweet Treat Trail, which was a really, really cool collaboration of all of the different businesses that create similar to the wine trail but create desserts, sweets, and all kinds of fun fruits that formed a trail. So I guess able to take another designers work and integrate that into something else that I was doing, which might be completely different. I think that’s one example. I’m actually currently working on a project with another design firm that I’m doing half of the guide, and the other design firm is doing the other half. So we’re meeting in the middle at the map. So it seems to be working out really well, and we’re both excited about that project and see where it goes to from here. That’s great, so you just talked about working with two designers and how you collaborate on a project. Do you have advice on how you manage expectations and how you kind of set the groundwork for a successful collaboration like that? Yes, I really believe the client review meetings are critical. Where everybody sits down as a group and make sure we’re all on the same page as far as both strategy and budget, and then thirdly, schedule. It’s very important to all of my clients that my projects arrive on time and under budget, and that’s very important to me as well. I think realistically looking at a project and saying okay, we can design this as a 48 page guide, and it’s going to cost this much, and I’ll be able to complete it by this date, and then really sticking to that. If there’s a lot of changes or things like that, we’ll have to figure that. Usually it comes out under budget, so I’ve been pretty happy about the way that’s worked out. And just having those firm guidelines at the very beginning and making everybody understand what needs to happen when, is what makes a successful partnership. Yeah, I think that’s great advice to say that you need to make sure everyone’s on the same page but then to go so far as to say we need to make sure that we’re in agreement on strategy, on budget, on schedule so that everybody upfront knows the expectations for each part of this project and not just kind of an overall vision. It gets right down into the nitty-gritty it sounds like. Yeah, that’s great. That’s really awesome. And there can be some fluidness, it doesn’t have to stick exactly to the exact day or whatever, but I think that really helps guide the project along. Cindy we’re getting close to the end of our conversation but I actually want to ask you about something that’s not in the questions that I’d sent you in advance. Only because you reminded me of it when you mentioned your client, Cayuga County, and you were talking specifically about the Sweet Treat Trail. I do know that you ended up guiding them through a rebranding process, and I think your branding process is, I don’t know how unique it is necessarily. Of course what you bring to the table is very unique, but I know you have a certain way that you approach it and it’s very holistic. Do you mind just kind of talking a little bit about how you approach branding and how that might spark some creative ideas for our listeners who might be thinking about their own brand and how they might approach their own brand? Sure, well I first start with that meeting with the client and taking a look at what they’ve done in the past, and what they liked about it and what they might want to improve upon. After that, I really take a good look both with some market research where I ask people what they think of specifically like Cayuga County, or what comes to mind, what colors come to mind, what emotions come to mind. Ask people some deep questions and from that comes a lot of amazing insight as to what we can do to visualize the brand. So I start out with a branding board, which is like sort of a vision board of how people perceive the area, the county. And in that, use specific type fonts, words, photos, maybe an artist painting, which I may have done as I went along the way. One of the bonuses of working with you. Typically, by the way, I give the client at the end of the project a painting. Which is my thank you for working with me and it’s an ability for me to share what I do. It’s just actually a good excuse for me to paint. I don’t think you need excuses. But anyway, we go back and forth on that and do some more research and kind of firm up three boards that we feel can give the consumer an idea of what the destination looks or feels like. From there, do another research on which direction do most people prefer. And in that, we actually talk to county legislature, business owners, anybody in the county that is interested in the travel and tourism industry. And then people outside the county that might be coming to visit, a lot of consumers to certain areas haven’t heard of the county name, but they know what it feels like. So with Cayuga County we gave it a very nautical feel, a very upscale look because the lakes are very important and the upscale brand is important to them, so that’s the uniqueness that they’re able to bring to the Finger Lakes. And each client that I work with I do really dig deep to get that point of uniqueness, and that’s really a lot of fun for me to be able to explore. Yeah, I think that’s a really good roadmap that you just spelled out for us. I’m just going to say it back to you because I want to make sure our listeners kind of followed exactly what your steps were, but I think they’re really important. First is you talked about, I wrote down the word audit, I don’t think you used that word but you basically are talking about auditing things that have happened in the past, what people liked and didn’t like about that. And then using market research, which I love because I believe everything should be based on research, and so I think that’s really awesome. Talking about not just the market research that you might get in a traditional way, but also asking about colors, and emotions, and kind of collecting some of those insights. And then your third step you mentioned was the branding board, or another name for it might be vision board. I know that includes things like fonts, and words, and photos, and the famous Cindy Harris paintings, and creating those three boards. And then using that and going back out and testing it again before you come up with the brand. I just described like four, or you described and I just reiterated, four steps that happen before you even get to a brand. So I think that that’s just really awesome and I love that you said you dig deep to find that point of uniqueness, especially in a region like the Finger Lakes vacation region, which has 14 counties and visitors don’t visit by county line but local stakeholders are attached to their local county. So trying to figure out what’s unique about that particular county that will both resonate with the locals as well as those visitors can be a challenge, so I think this is just a great roadmap to helping people figure that part out. Thank you, I also have a little guide book, work book, on my website that anybody can download too, which might give you a little assistance when you’re redesigning your brand. Oh that’s great, and what is your website? Great, we’ll make sure there’s a link to that on the show notes as well. Fabulous. Well Cindy, this has been a great conversation. Are there any final thoughts that you’d like to share with us before we sign off? Just that if you’re interested in doing something and you’re passionate about I, just go for it. You will be able to do it, and I never thought I’d be able to a working artist and a working designer and I’m so grateful that this all worked out, that I’m able to do it. So you never know where your path may lead, but just continue on and look for all those people and angels along the way that really are there to help you out. So yeah, I would just say stay positive and great things will happen in your life. I agree, those are great final words. Thank you very much, it has been great talking to you and we’ll look forward to having a conversation with you again.